OK – so we all know that peregrine falcons are awesome predators, and that in a stoop they are the fastest living thing on earth. 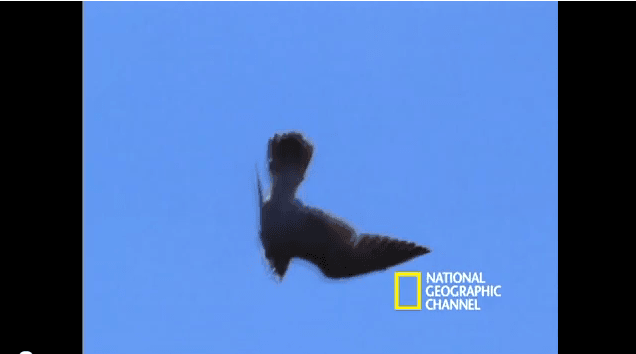 But just how fast is fast… and what exactly does a stooping peregrine look like up close and personal, in slow motion? One US scientist took a novel approach to finding out. He jumped out of a plane and went into freefall with a lure and a trained peregrine and filmed it in mid stoop. Check out this amazing video from the National Geographic team, and you can but marvel at the peregrines aerial prowess – truly the most awe inspiring aerial predator of them all.